Everyone has their own take on coffee cake. My family’s version has streusel topping and blueberries. Paula Deen’s involves frozen dinner rolls and butterscotch pudding mix. Although the NYU editions of Whitman’s daybooks don’t include his recipes in full, typical coffee cake recipes from 1880s New England are fairly consistent. My favorite is in the delightfully named What Shall I Eat? The Housewife’s Manual (the unwitting predecessor to sites like this). Unlike the streusel and sour cream cakes, which are meant to be eaten with coffee, these are called coffee cakes because they’re made with coffee. With a dose of molasses and a helping of dried fruit, they taste more like a spice cake but are still perfect with a cup of joe. Most recipes of the period call for raisins, but I prefer cranberries – a little wink to Whitman, who lived on Brooklyn’s Cranberry Street. 1. Soak dried cranberries in hot water 20 minutes. Meanwhile, butter and flour a 10-inch circular cake or springform pan. Preheat oven to 350°F. 2. In a medium bowl, sift together flour, cinnamon, nutmeg, cloves, baking soda, cream of tartar, and salt. 3. In a large bowl, cream together butter and sugar. Add egg, coffee, and molasses. Stir until mixture is smooth with no lumps (it will be very wet). 4. Add dry ingredients and milk alternatingly to butter mixture, stirring until combined. Drain cranberries and fold into batter. 5. Pour batter into prepared pan and bake 30 to 35 minutes. Let cool 10 minutes, sprinkle with powdered sugar, and serve warm. I don’t think Walt Whitman was strictly a transcendentalist, although he was certainly influenced by that movement. He definitely wasn’t part of the chummy Thoreau-Emerson-Alcott group that came to define transcendentalism, but it’s hard to find a better classification for his work. That’s the problem with those labels in general, though – too constraining for a sassy character like Whitman. 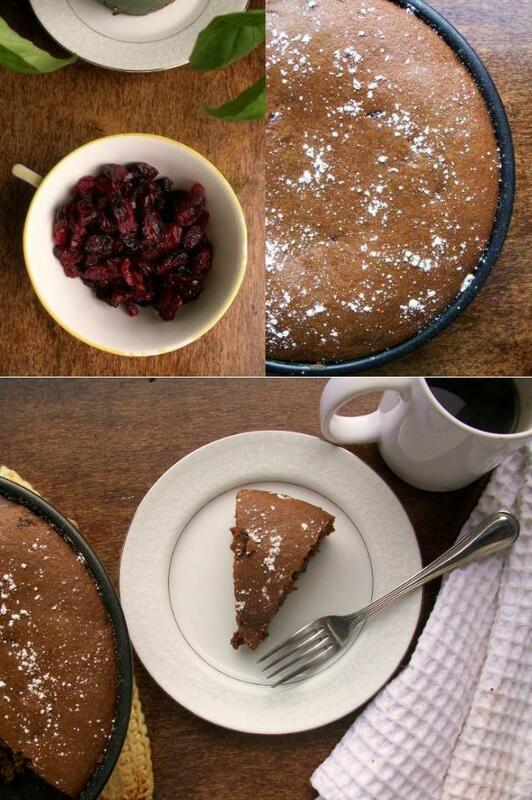 What do you think of using frozen (thawed) cranberries in this? I have a hard time finding plain old dried crans, as opposed to sugared “craisins”. I’ll enjoy a cuppa with Walt over this cake. Frozen cranberries (or fresh, for those times around the holidays when you can find them) would be great, too. Dried ones give you a closer approximation to the period recipes, but you’ll get a less punchy flavor out of them. Enjoy! Glad you enjoyed it! Really loving your blog, too (mine’s WordPress also). I’m a fan of experimenting with long exposure times – not good for photos of food, but great for creating some “ghosts” of our own. A wonderful post! What a great mix of food and literature – two of my favorite things! Thank you! I love your Flannery post. I have a possible recipe for her … but it won’t be in season until fall-ish. We’ll see if I can wait that long. Aw, thank you! That sounds awesome – I can’t wait to read it! Thhis is a topic which is close to mmy heart… Take care! 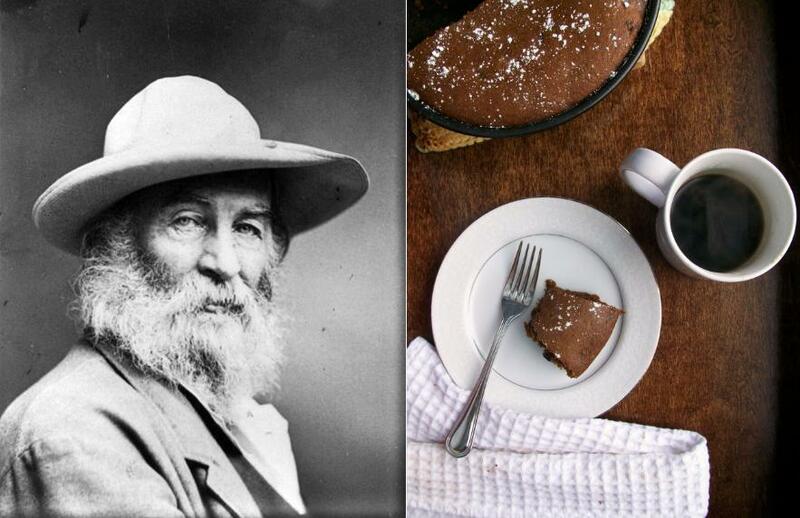 Thanks for the recipe, using it in a class presentation on Whitman!